Development and adoption of the 2018-19 operational plan and budget for the accountability of accounts with Sport Canada. The Games were held in Winnipeg last February and were a success. No less than 147 participants from eight provinces participated in one of the five sports: basketball 3-on-3, co-ed volleyball 4-on-4, ice hockey 3-on-3, men’s and women’s curling and bowling. CDSA would like to warmly thanks the Manitoba Deaf Sports Association and organizing committee. A total of 115 volunteers made sure the event would be a success. For the first time in CDSA’s history, 24 participants including representatives of Provincial Deaf Sports Association, team managers and national coaches attended the various conferences on Feb. 23 and 24 in Winnipeg. 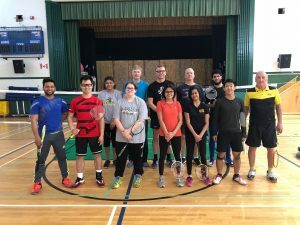 Badminton: Eastern camp held in Montreal in January and Western camp held in Edmonton in April. The national team’s training camp will be in September 2018 (location to be determined). Snowboarding: A national selection camp in Quebec region was held last March. Men’s Basketball: A U21 national training camp will be held in Burnaby, BC in May. Ice Hockey: A selection camp will be held in Wilcox, Saskatchewan in August. Sixty athletes will participate in these camps. These clinics/camps are made possible thanks to the collaboration of Provincial Deaf Sports Associations: BCDSF, ADSA, SDSA et l’ASSQ. CDSA would like to warmly thank them. Possibilité de cliniques de tennis en août 2018. Détails à venir. Potential tennis clinics in August 2018. More details at a later time. Bowling clinic and tournament in collaboration with BCDSF in September 2018, and with the ASSQ in December 2018. More details at a later time. 1st World Deaf Youth Games (sports to be decided later) from June 20th to 29th, 2019 in Yerevan, Armenia. 4th World Deaf Bowling Championships in Taoyuan, Taiwan from August 3rd to 12th, 2019. World Deaf Badminton Championships in Taipei, Taiwan from July 11th to 22nd, 2019. 5th World Deaf Swimming Championships in Sao Paulo, Brazil from August 25th to 31st, 2019. Congratulations to the men’s curling team (British Columbia) and women’s curling team (Alberta) that won their respective tournaments at the Canada Deaf Games in Winnipeg. 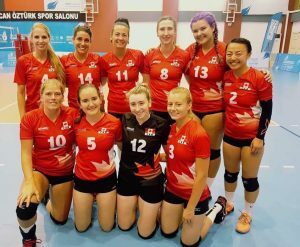 Both teams will represent Canada at the 2019 Winter Deaflympics. 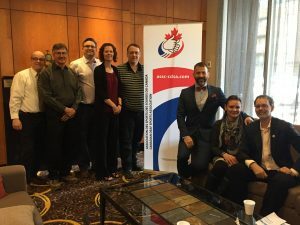 Congratulations to the Alberta Deaf Sports Association, whose bid application to host the 4th World Deaf Curling Championships in 2021 was chosen by the International Committee of Sports for the Deaf (ICSD). The event will be in Banff. Congratulations to Canadian Dawn Jani Birley for her nomination on the ICSD Council for Women in Sports.